In association with Concerts SA, iSupport Music Business presents Freeman and the Free-men live in concert in Hammarsdale. Bassist Nkululeko Freeman Gumede and his band will visit Seamen’s Corner on June 2, 2018. For this performance, bassist Gumede will be accompanied by Lesedi Tlholoe on drums, Obakeng Thamage on keys, Sinalo Zulu on trumpet, Kgeti Nkotsi on trombone, Nick Pitman on guitar and Dalisu Ndlazi on bass guitar. 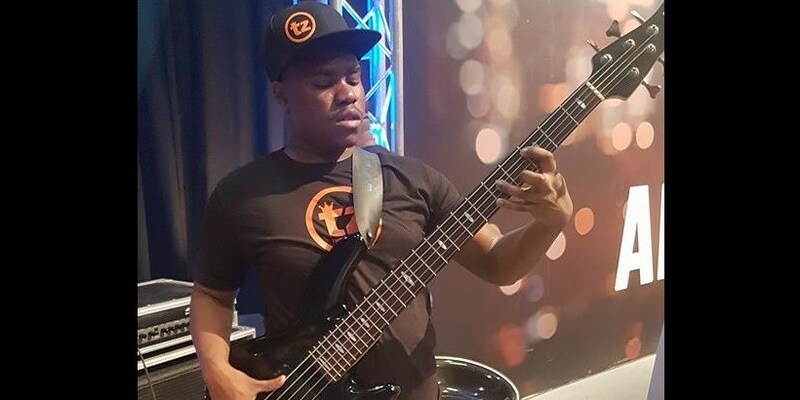 Having trained at KCAP Arts Centre in KwaMashu as well as at the BAT Centre and exploring his passion for gospel, pop and jazz music throughout the past years, the Durban-based bass player Gumede has already shared stages with big names such as Jimmy Dludlu, Lira, the late Bra Hugh Masekela, Caiphus Semenya, Swazi Dlamini, Judith Sephuma, S’fiso Ncwane and many more. While he is currently supporting acts like Kyle Deutsch, Thina Zungu, DJ LeSoul and Blvck Crystals and studying towards a Music Degree at UKZN, Freeman also expresses himself through compositions of his own. This series of performances by Nkululeko Freeman is part of the Concerts SA Venue Circuit which aims to foster a love and support for live music in communities, as well as anchor small and medium sized venues in urban and rural Gauteng, KwaZulu-Natal, and the Western Cape. Bassist Nkululeko Freeman Gumede and his band will perform at 19h00 on June 2, 2018, at Seamen’s Corner, Unit 3, Hammarsdale. Tickets R30 at the door.